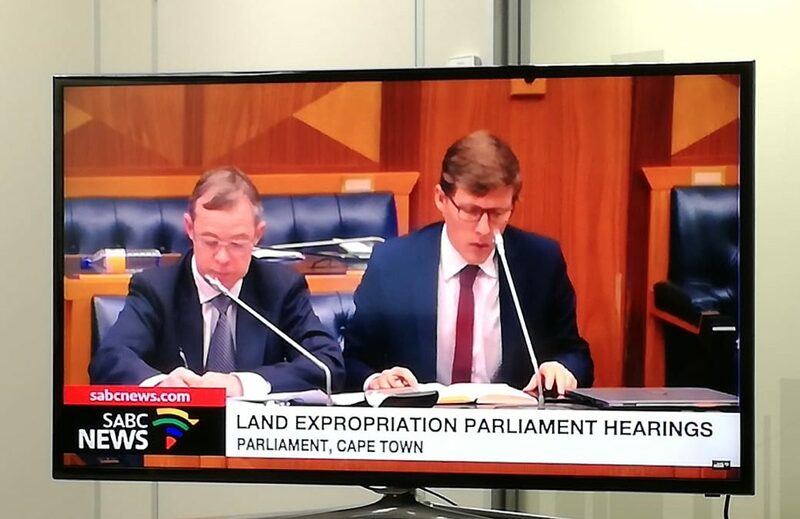 The problem with South Africa’s debate about expropriation without compensation is that its Parliament got the question wrong. At first glance, what is debated is whether the Constitution should be amended to facilitate expropriation without compensation. However, this superficial question obscures a much more fundamental issue. Sakeliga submits that what is really in question is the constitutionality of the South African Constitution. Understanding this is essential for two reasons: First, for resolving the debate in an acceptable way. Second, for developing the ethical and moral foundation upon which, should the proposed amendment take place, civil society’s unremitting refusal to accept that state of affairs, and its efforts to restore a constitutional order, can rest. Sakeliga is a business organisation, with more than 12 000 members concentrated in small and medium size enterprises. We advance our members’ interests and the common interest wherever our members do business. This means that we promote free markets. In market transactions both parties gain something, so that the sum of co-operation is greater than its parts. This is the much neglected nature of economic growth. Röpke’s setting of the market – which in this context we shall call a constitutional order – is the subject of our presentation. In order to answer the question, whether the Constitution should be amended to facilitate expropriation without compensation, we should seek first to understand it. The question has two constituent parts: a) what is a constitution, and b) what is expropriation without compensation? a) What is a constitution? On the face of it and in our present context, a constitution is the foundational legal text of a state, in this case South Africa, as adopted and amended from time to time according to applicable procedure. But scratch under the surface, and the issue becomes murkier. Almost at once it should be asked whether it is sufficient for the legitimacy of a constitution simply that it passes formal requirements such as consultation, deliberation, and referendum, or are carried by a stipulated majority in a legislative body such as a parliament. And not far in its stead is the question whether public opinion alone can ever be justification enough for a constitutional amendment. To answer yes to questions such as these would be essentially to assert that constitutions can have arbitrary content; that their legitimacy is simply a question of administrative criteria. The evidently tyrannical implications of such a formalistic conception of constitutions should be enough to dissuade quickly reasonable people of its merits. Contrary to the arbitrary conception of constitutions Sakeliga submits that there are fundamental requirements of content to which any constitution must adhere, for it to be a true constitution. While constitutions the world over vary considerably, they are not arbitrary documents. As legal scholar Professor Koos Malan argues for Sakeliga in our submission, a constitution is only a legitimate foundational legal text if it complies with the fundamental requirements of something called constitutionalism: the proper structuring of political power in the pursuit of justice for the whole of a polity. Constitutionalism rests, writes Malan, in the present context upon two crucial foundations. Importantly, as Malan also stresses, the requirements of constitutionalism are applicable not only to amendments of a constitutional text, but equally to constitutional changes effected through interpretation by the courts. b) What is expropriation without compensation? 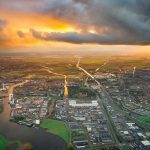 Expropriation, legally speaking, is a concept that is always linked to a remedy in the form of payment for what a property is worth at a certain point in time. Since the question before this Committee is decidedly about takings not accompanied by compensation, the question is raised whether what is considered should carry the name of expropriation at all. In fact, the term expropriation is mistaken. The correct term, when a taking constitutes an act with zero compensation, is confiscation, as argued by Professors Koos Malan and Hennie Strydom in Sakeliga’s written submission. It follows, and is important to point out, that in so far as any act of expropriation is with compensation, but below market value, that shortfall also constitutes a confiscation, albeit a partial one. Which brings me to the real question: we are really dealing with a different question here than the one ostensibly before us. In practice, the question asked of this Committee is not whether the constitution should be amended to facilitate expropriation without compensation. The fundamental question is: Can the Constitution be amended to allow for confiscation? Put differently, is it possible for the Constitution to be amended to allow for confiscation and remain a legitimate constitution, or will it lose legitimacy despite maintaining constitutional form, because the document is in violation of constitutionalism itself? In order to recommend the amendment in question, the Committee would have to answer this question in the affirmative. Sakeliga submits that the correct answer must be in the negative. The reason is that confiscation in the sense contemplated by Parliament is an affront to the very idea of constitutionalism. Amending the Constitution to facilitate confiscation would jeopardise the material basis on which citizenship and the dispersal of power – two essential attributes of constitutionalism – rests. For elaboration on these points, I refer you to Malan’s chapter in our submission. The Constitutional Review Committee finds itself in a quagmire. The correct recommendation to Parliament is that the text of the Constitution not only should not, but in fact cannot, be amended to facilitate confiscation (or what is called expropriation without compensation). Not if you want to maintain constitutionality itself. Still, let us contrast some of the consequences to recommendations either way. It is a stark fact of recent months that unreasonable, radical expectations about land redistribution have been generated in public debate. Not least through the 34 public hearings held by this Committee across the country. And not least through the actions of President Cyril Ramaphosa himself, when he repeatedly assured the public that expropriation without compensation (confiscation) will be implemented. Recommending that the Constitution should not be amended because it will be fundamentally unconstitutional to legitimise confiscations would disappoint these radical expectations and lead to a backlash. Yet, there is no way around it, and it is a backlash that should be faced the sooner the better, for it will only grow more difficult with time. This is not to say that there are not more or less desirable patterns of ownership, and that matters of justice (rather than the ideological idea of equality) do not necessitate reform. The answer here is to persist with the long and hard way, if though with more urgency and competency. The privatisation of state land. There is an emerging consensus among local and international commentators that the similarities between South Africa and Zimbabwe are steadily becoming more than the differences. Thankfully, there still are many dissimilarities, but should this Committee recommend a change to the constitutional text to allow for confiscation, it will facilitate this consolidation of local and international consensus among commentators, business people and concerned citizens: South Africa is on the road to Zimbabwe. Not there yet but committed to repeating the same mistakes. In this case it will be incumbent upon all constitutionally-minded people to put their full effort, as never before, behind the restoration of constitutionalism and in opposition to those who undermine constitutionalism. While ethically and morally necessary, it will lead to great tension between the various communities in South Africa, because the actions in defence of constitutionalism will be made suspect and attacked in racial terms. As a business organisation, Sakeliga will act to play the greatest role it possibly can to restore the foundations to order and prosperity in the country, as well as harmonious relationships between different communities. Sakeliga submits that the Constitution cannot be amended to facilitate confiscation as contemplated and remain a true constitution. It will lose its legitimacy in so far as it is so amended and will regain that only after such an amendment is undone. I should point out that there are those who argue that the current constitutional text needs no amendment and can simply be interpreted to allow for confiscation. Our argument still holds: such a de facto amendment, even if it were eventually to be endorsed by the South African Constitutional Court, would jeopardise the constitutionality of the South African state just as much as a de jure introduction of confiscation. I hesitate to say, but should this Committee insist on recommending an amendment to the constitution, then perhaps it should take this form: that any current ambiguity in section 25 of the Constitution about property rights be rectified to make it explicit that confiscations are unacceptable. Sakeliga realises the difficult position this Committee is in: fundamentally, it must make a recommendation on whether the Constitution should maintain its constitutional character, or whether it should lose it. Whether South Africa should have a constitutional order, or not. That much wider significance – the constitutionality of our social order itself – is what is at stake in this matter.